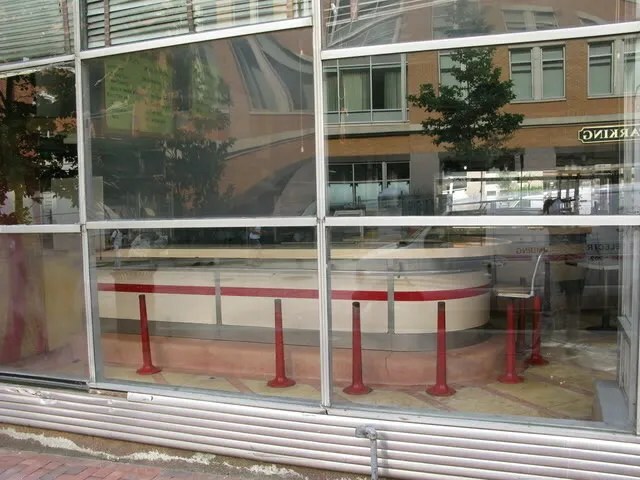 I swung by the Waffle Shop in downtown DC yesterday, and was sad to see that the building was empty. The business has moved down the block a few doors to the left and is still operating, but no longer from their classic, horseshoe countered former home. Look at the design of this place- the details. See the iridescent gold and silver tilework wrapping around the corner of the building? How open the building is with the glass facade and thin, outward canted supports? The terrazzo floor? 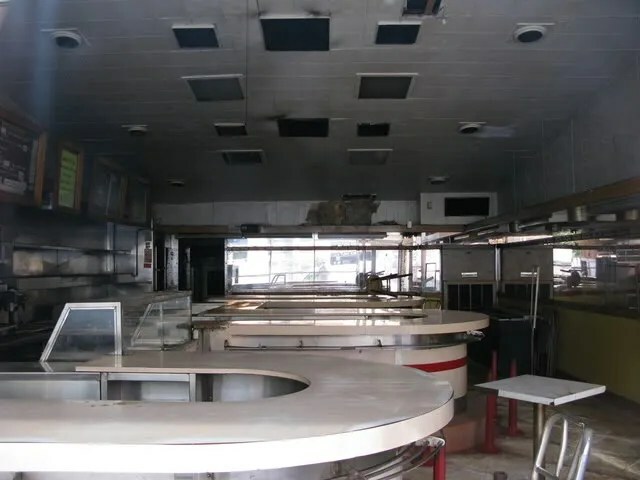 The repeating horseshoe shape of the counter with a hat/purse rack underneath? How the ceiling slopes towards the back of the building? 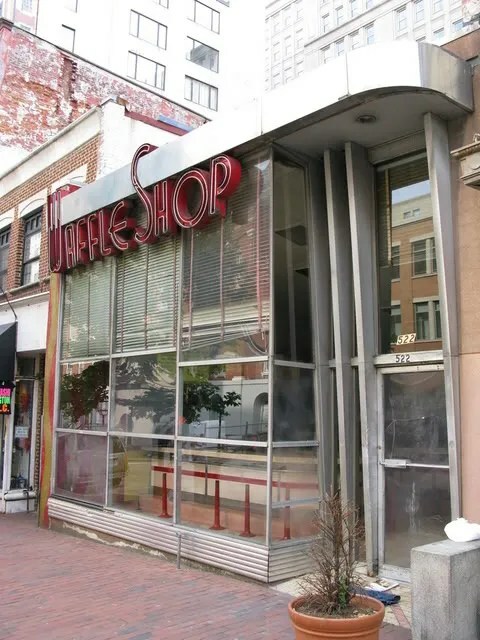 This entry was posted in Diners / roadside related, Diners/ restaurants, Roadside attraction and tagged diner, District of Columbia, Ford's Theater, greasy spoon, Lunch Counter, mid century, neon, neon sign, Ollie's Trolley, preservation, restaurant, roadside, threatened building, waffle, Waffle Shop, Washington, Washington DC by Spencer Stewart. Bookmark the permalink. Great post (and great blog)! 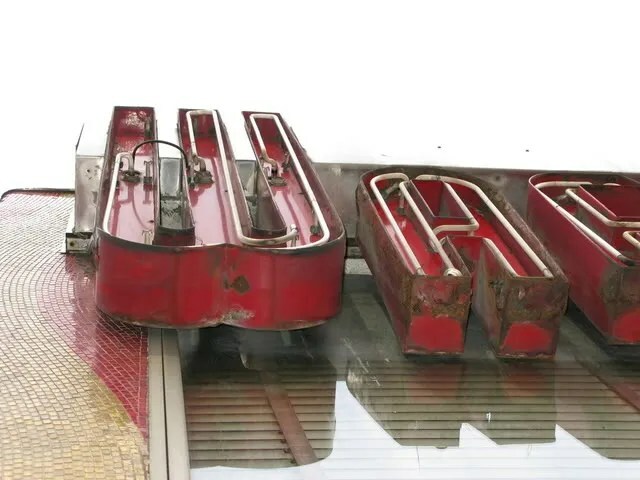 We really need a “Diner Museum” downtown. breaks my heart…that they closed her… rip..
Here’s that location circa 1930.